The Pontcysyllte Aqueduct (A world heritage site) and Canal is 18 kilometre long and a feat of civil engineering of the Industrial Revolution, completed in 1805. 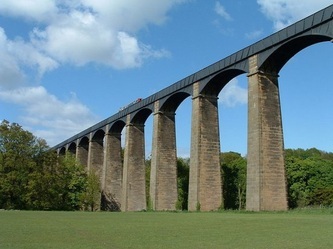 The Aqueduct stands majestically at the foot of the Horseshoe Pass, three miles east of Llangollen & 9 miles from Wrexham, crossing over the River Dee at the dizzy height of 126 feet. 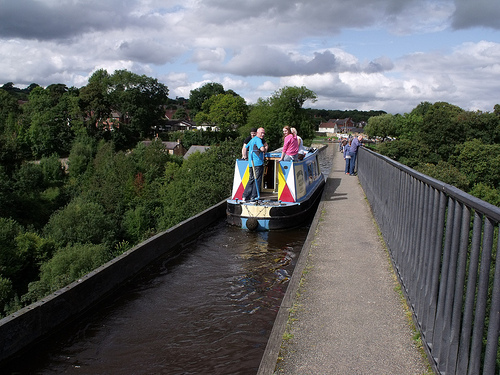 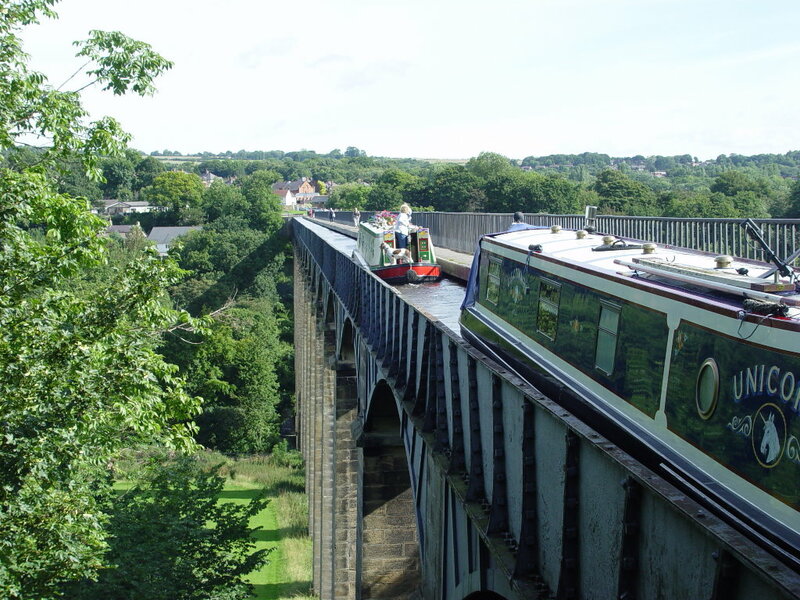 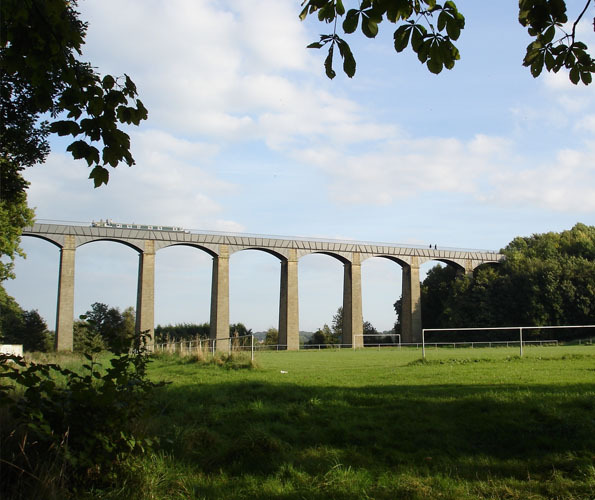 At over 1000 feet long, Pontcysyllte is the longest and highest cast-iron aqueduct in the world. The aqueduct, built by Thomas Telford and William Jessop. 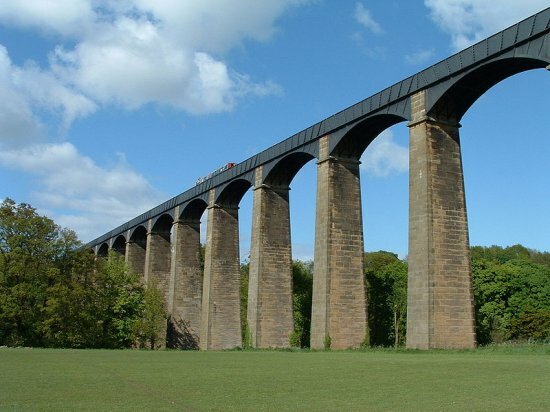 It consists of a cast iron trough supported 126 ft (38 m) above the river on iron arched ribs carried on nineteen hollow masonry piers (pillars). 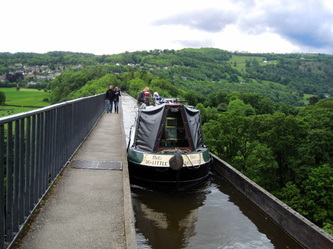 The iron was supplied by William Hazledine from his foundries at Shrewsbury and nearby Cefn Mawr. It was opened on 26 November 1805, having taken around ten years to design and build at a total cost of £47,000. Adjusted for inflation this is equal to £2,930,000 as of 2012, however a structure of this type would cost more to build today due to other factors that didn't exist in the early 19th century such as higher wages (adjusted for inflation), safety measures, new regulations and taxes, financing fees and so on.